I have implemented customer friendly pricing for my legal services. I offer uncontested divorces at a flat rate of $1,500 to handle your family law case from start to finish. Flat fee billing serves to eliminate the extra stress that can result from not knowing how much the case will ultimately cost. I charge a single flat fee for uncontested divorces so that you can get a divorce for a predictable price. I do not charge for out-of-pocket expenses, such as copies, long distance phone calls, etc. which will increase your bill. When interviewing attorneys, be sure to ask if they charge for extra expenses. Almost always, they do. I am too busy working on your case to figure out ways to charge you more money. Uncontested divorce is the way most people divorce. It’s simple and inexpensive, and it offers you and your spouse the chance to end your marriage quietly and with dignity. It’s not right for everybody, but it’s right for many more couples than attorney’s like to admit. When both members of a couple agree to divorce, filing for an uncontested divorce can save time and money through streamlined court procedures. Uncontested divorces are generally available to couples who have no remaining disagreements regarding the basic divorce issues: child-custody, property division and spousal support. Like a contested divorce, an uncontested divorce begins by one side filing for divorce. Uncontested divorces usually have streamlined paperwork, in which property and child custody information is filed, along with a statement of the grounds for divorce. 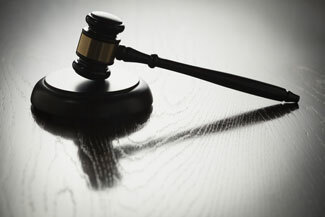 If the other side agrees to the uncontested divorce, or fails to make an appearance, it can be granted by the court. If the other spouse does not agree and makes the necessary court filings, an uncontested divorce cannot be granted. The most apparent advantage of uncontested divorce, of course, is its cost. With the exception of the pro se (self represented) divorce, an uncontested divorce that stays uncontested divorce is almost always the least expensive way of getting divorced. While attorney representation will often be advisable even in an uncontested divorce, the streamlined procedure includes lowered court costs, as well in lowered attorney bills. Though divorce of any sort often involves some conflict, proceeding with an uncontested divorce can lower the amount of conflict between the parting spouses by simply offering fewer opportunities for conflict to arise. With fewer demands for information going back and forth, and fewer proceedings to resolve disputed elements of the divorce, conflict between the soon-to-be exes can be minimized. If the level of conflict between the two of you is low now, uncontested divorce offers a way to keep it that way. It’s not so much a question of agreement as it is your desire to get through your divorce, and a practical sense on the part of both of you that you want to minimize. If you and your spouse don’t yet agree on all the issues of your divorce, that just means you may have some negotiating to do before you finish it. Don’t get rattled or in a hurry, and you will both probably be able to get through it. These are all advantages to stop fighting, stay in control, and end your marriage in the best way possible. Couples who have children, complex or disputed property arrangements, or potential disagreement as to spousal should strongly weigh whether uncontested divorce is appropriate. The tradeoff for simplicity and cost saving through uncontested divorce comes at the expense of being able to satisfactorily determine complicated custody decisions, as well as complex property distributions or spousal support arrangements. Uncontested divorce is a bad idea when there’s ongoing domestic violence, because the victim can’t possibly negotiate with the perpetrator on a level playing field. He or she needs an advocate, and it’s difficult to get this done in the context of uncontested divorce. Uncontested divorce is also a bad idea when the parties are not able to talk with each other. If your spouse refuses to have any discussion with you about divorce, and if you’re determined to move forward with the process, any money you spend on an uncontested divorce is likely to be wasted. If you’re patient, you may find that your spouse will come around later, but if you’re determined to do it now and your spouse is digging in his or her heels, you’ll have no choice but to serve them with the process and do it the hard way. Uncontested divorce is a bad idea when one or both of the spouses is both ignorant about the law and greedy (it takes both). If your spouse is just uniformed but reasonable, uncontested divorce can work fine. If your spouse is well informed about the law but greedy, rationality will eventually win out, and you and your spouse will eventually be able to reach agreement. But in those isolated cases where one or both of you are both ignorant and greedy, you’ll probably need separated attorneys before you get it all sorted out. The first thing you need to know about uncontested divorce is that the lawyer you get to do your uncontested divorce cannot represent both of you. Normally, we assume that the spouses in a divorce have necessarily different interests. The ethical principles for lawyers therefore require that a lawyer cannot represent both parties. The lawyer must represent one of you and not the other. The lawyer will need to know at the outset which of you is his or her client and which of you is not. I meet with the primary spouse, who is my client. We work together to think through the key issues involved with the divorce, and explain what each document does and the various options available. We produce together all the paperwork that other spouse will need to sign. After we produce the documents, if changes need to be made to the documents by either party, we make changes to them, that’s okay. Everything’s on computer, and it’s easy to make changes, as long as the parties can agree on what they ought to be. When both spouses are satisfied with the papers and sign them, they are filed with the court. Barring something unusual, neither spouse has to go to court. Everything is handled on paper. If both spouses want to participate in the meetings, that’s fine. I just insist that we all be very clear about which spouse is my client and which spouse is not. And I’m careful not to give any advice to the spouse who is not my client. Uncontested divorce can happen faster than most people realize. The California courts require a six month waiting period between the time the petition is served on the other spouse, and the final judgment date. In an uncontested divorce there are no court hearings or trial dates that can cause the process to take longer. Uncontested divorce allows both parties to move on with their life knowing they were able to work together in an amiable setting to resolve their issues.